The price of maize meal is set to go up after the rise in the cost of fuel by over 150 percent, with grain millers saying transport costs for outside deliveries and raw materials have shot up by over 80 percent. Zimbabweans — already feeling the pinch from the recent fuel price hike — must brace for a hike in the price of maize meal as the recent petroleum increase starts driving up the cost of food and other basics, adding to the unpopularity of the government. The Grain Millers Association of Zimbabwe (GMAZ), led by Tafadzwa Musarara, said transport costs were making their operations unbearable. “Transport costs for our raw materials and outside deliveries have increased to over 80 percent with some transport operators attributing this to the challenges in procuring spare parts for their vehicles,” Anias Chiware, the GMAZ’s finance and costing technical committee chairperson, said. “Most of our members both small and big millers countrywide do not own trucks and they use hired transport, an arrangement which does not fall under the promised and anticipated government fuel rebate category. “We have costs on repairs and machinery maintenance which have sky-rocketed and all this is affecting our operations. 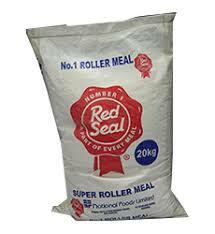 Maize meal is a staple food consumed in the country. The possibility of a price increase would negatively impact on the cost of living and burdens households. Economist canvassed by the Daily News said if the operational costs increase, the cost of the products will go up.